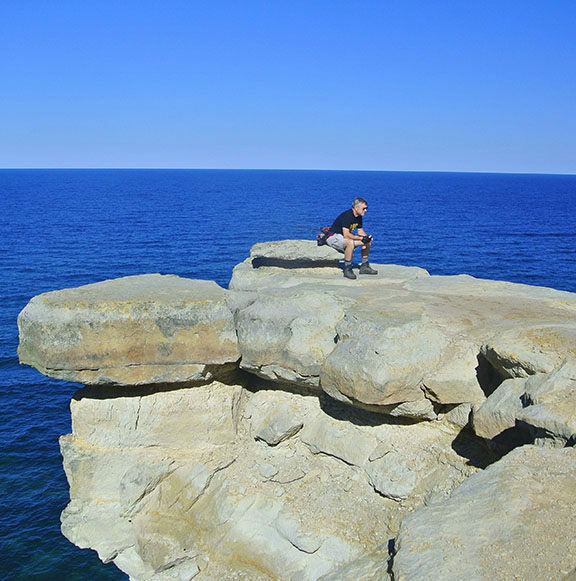 This is a trek is a walk between two towns, Grand Marais and Munising, past lighthouses and shipwrecks, giant sand dunes and towering standstone cliffs, beaches on Lake Superior and beaches 200 feet above it. Most backpackers utilize public transportation to be dropped off at the Grand Sable Visitor Center and then hike from east to west, ending back at their vehicle at the Munising Falls parking area. Once past the Log Slide on the first day, the scenery improves dramatically with every step west. 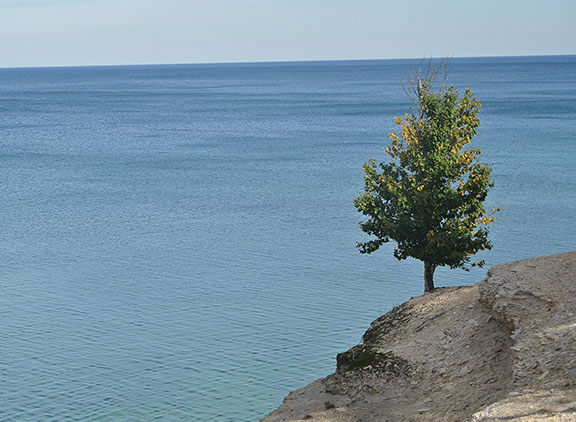 For many the Lakeshore Trail is laid out as a four-day walk with nights spent at backcountry campgrounds such as Benchmark, Beaver Creek, Chapel Beach and Mosquito River. These are some of the most scenic backcountry campgrounds along the trail but it does require you to hike between 9 and 12 miles a day. If that is too much mileage, then you can cover the route in five days with nights spent at Au Sable Point East, Trappers Lake, Chapel, and Potato Patch, a hike in which the longest day is 10.9 miles and the rest are 8-mile days. Pictured Rocks also maintains three drive-in campgrounds within the park with the Lakeshore Trail passing through two of them; Hurricane River and Twelvemile Beach, and within 2 miles of Little Beaver Lake. Reservations are not accepted for the drive-in campgrounds with sites available on a first-come-first-serve basis. During the peak summer season in July and August it is wise to reserve your backcountry campsites in advance (see Hours & Fees). Always pack along a water filter as most walk-in sites do do provide sources of drinkable water. 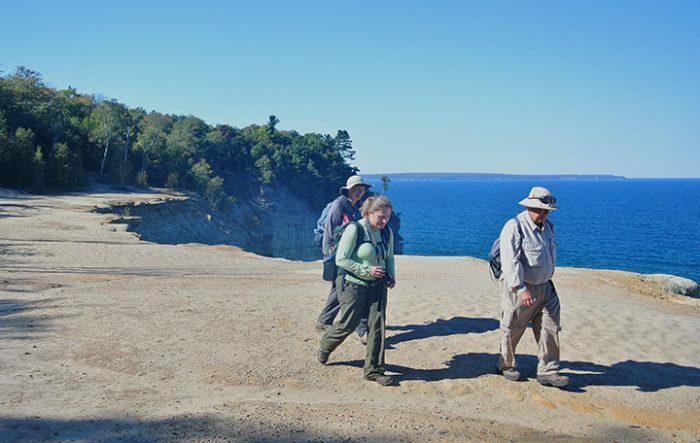 For a complete description of the Lakeshore Trail click here to order a copy of Backpacking in Michigan by Jim DuFresne. 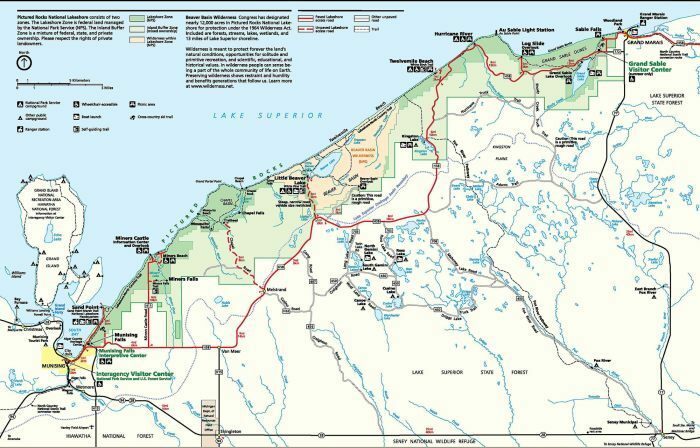 Click here to order a detailed map of the Lakeshore Trail, part of MichiganTrailMaps.com's Classic Trails of Michigan series. The park’s 13 backcountry campgrounds are scattered along the trail at 2 to 5-mile intervals. These 84 sites are the only places backcountry camping is permitted. There are also eight group campgrounds for parties of 7 to 20 people. A backcountry camping permit is required for all overnight stays in the backcountry. The permit is only for the dates, locations, and party size specified and must be obtained via www.recreation.gov or by calling 1-877-444-6777 (international callers: 1-518-885-3635). There is a $15 reservation fee, and a $5 user fee per person, per night. Changes will result in an additional $15 fee. There are no refunds after your permit has been printed off. After you print the permit, no changes can be made. Permits can be printed as early as 14 days prior to your trip. You can print your permit the day of your trip as well, if you do not print your permit by 4:30 the start of your trip, you will be considered a "no show" and your sites will be given up. 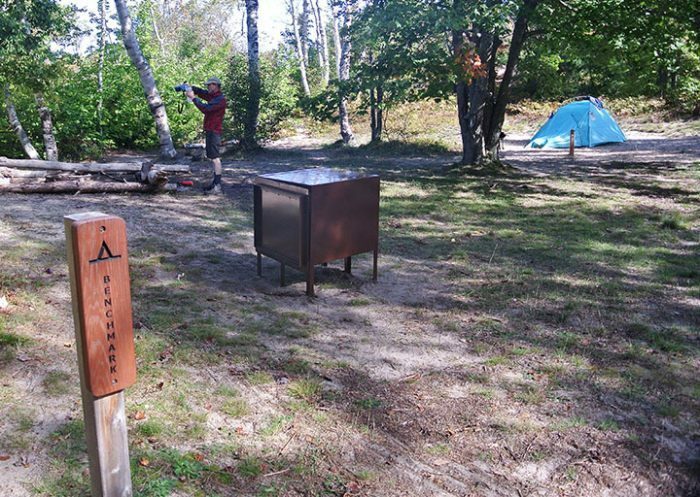 The east trailhead of the Lakeshore Trail is the Grand Sable Visitor Center (906-494-2660) on County Road H-58 a mile west of Grand Marais. The west trailhead is the Munising Falls Visitor Center at 1505 Sand Point Road in Munising. Transportation from Munising Falls to Grand Sable Visitor Center and various points along the trail is available for hikers through Pictured Rocks Shuttle Service (386-227-7768; trailspotters.net/about/picturedrocks) and Alger County Transit-ALTRAN (906-387-4845; www.altranbus.com/backpack.html). Shuttle service should be reserved during the peak months of July and August and hiklers should plan on finishing at their vehicle at Munising Falls.